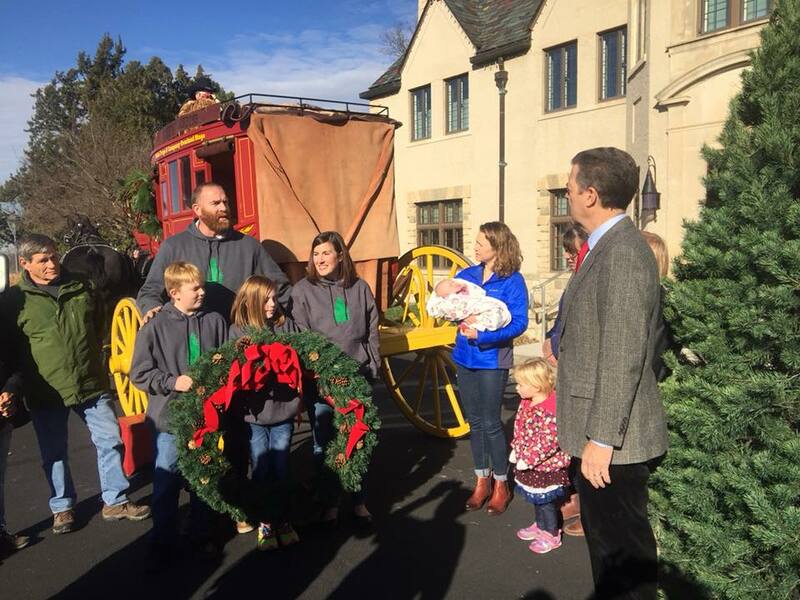 Governor Sam Brownback received a special holiday delivery this week from Salina. 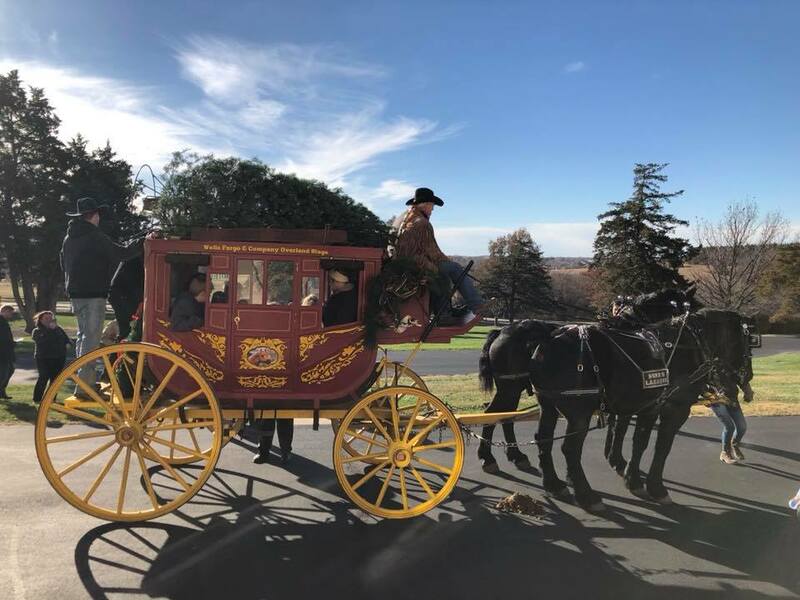 The governor’s Christmas tree arrived at his Cedar Crest mansion on a horse-drawn coach Tuesday morning. This year’s 9 foot Scotch Pine was grown and donated by Michelle Peck of Bel Tree Farm in east Salina. Bel Tree Farm is also donating a 24 inch wreath. 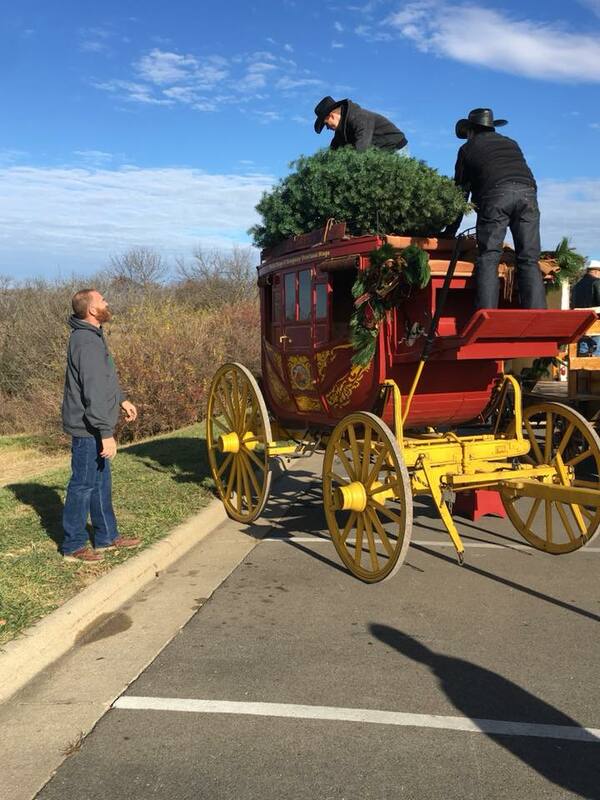 The event is used to promote Kansas Christmas tree farms. The French architecture home to the governor is the focal point of a 244-acre estate overlooking the Kansas River. The recently renovated estate features several ponds, gardens and hiking trails.